Well here we are at the end of 2016. As with the last couple of years it has just flown by. It has been a busy year for all of us, including the kids. Here is our 2016 Year Review. Our opportunities to travel for any length of time this year were a little limited, as Miss Oz was completing her year 12 studies. We are very proud to say that she graduated in November and has been accepted into University for next year. However, the fact that she now has a drivers licence has made life easier for us all! Ben starts his last year of high school in 2017. He now has a learners permit and a part-time job! January saw us head south to Cowra to catch up with family and friends. During the two weeks we were away we managed a visit to Canberra, again to catch up with friends. We spent some time exploring the lovely little town of Boorowa and I even managed to squeeze in a couple of winery visits! On our way home from Canberra we side-tracked a little bit and visited Crookwell, the area where I grew up. I found that not a lot had changed in the 30 plus years since I lived there. We also took a quick day trip over to Bathurst just so as Miss Oz could drive a lap of the Mount Panorama track. The track and the Motor Racing Museum are must see’s for any motor racing fan. On our way back to the Gold Coast we stopped at the Parkes Observatory, which we had been wanting to do for some time. It was very interesting and a stop I highly recommend. Brenden and Ben headed back south to do some RPA demonstrations for a wind farm. They were interested to see whether the technology could be used to inspect the wind turbines. This is an area of RPA operations that we think has great potential in the future. They were also able to capture some awesome images of a friends farm just outside of Cowra. I headed up to Brisbane with some girlfriends and spent the morning doing a Brisbane Greeters Guided Tour of the city. The Greeters program operates around the world and is a fantastic way to see somewhere new through the eyes of a local. I enjoyed a weekend at Coolum Beach whilst the kids were at an Air League camp. It’s such a gorgeous spot and the beach is perfect for early morning walks. I have stayed at Coolum Beach Holiday Park twice now and it’s a great, tidy park with beach access. Plus it’s dog friendly and so is the beach. Coolum Beach seems to go for miles! This month we headed off to Mount Glorious for a long awaited weekend away. 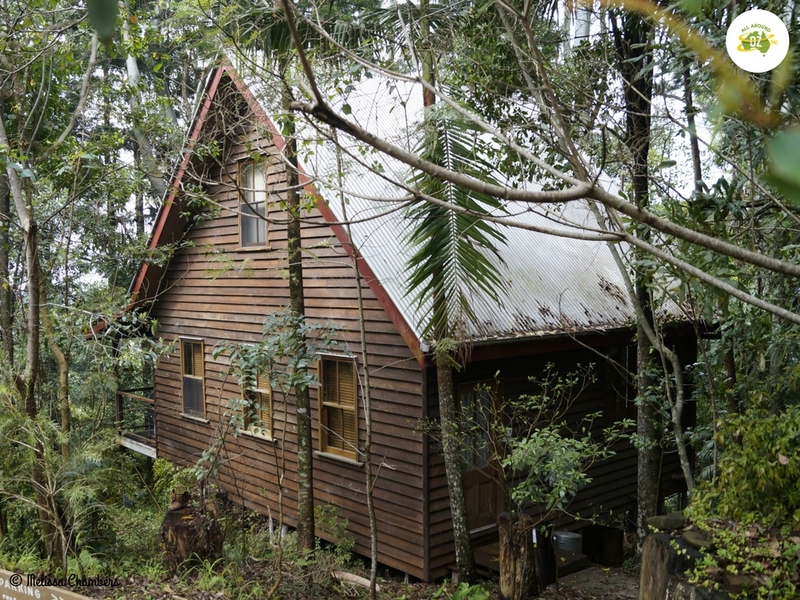 We stayed in a beautiful cabin nestled in the bush. The weather was not great but we had a wood fire to keep us warm and still managed to do some exploring around the D’Aguilar National Park. It’s a gorgeous part of Queensland and close enough to Brisbane for a short break. Rose Gum Cottage nestles beautifully into it’s surrounds. Some very special friends had a little surprise wedding at Caloundra. We were honoured to be part of their celebration and loved our stay at Golden Beach. Stunning views, beautiful beaches, plenty of fabulous places to eat and of course wonderful company. This was the stunning view from the balcony of our unit at Golden Beach. We also managed to fit in several day trips around the Gold Coast area. We are still finding spots to visit even after living here for almost 12 years. I also expanded my writing port folio with posts appearing on the Gold Coast Tourism website. You can read them here and here. We were also recently invited to ‘Discover Ipswich’ and our post will appear on their site in the New Year. In total I published 62 posts during the year. We have a couple of trips planned for 2017 including Carnarvon Gorge in April and Cameron’s Corner in September. In the meantime we will continue finding the best spots in the local area to spend a day or two or relaxing. We would like to thank all our readers for their support and hopefully we might see you somewhere on the road in 2017. We sure did make the most of 2016 and will continue to do so in 2017. I hope we do too Kathy….looking forward to it already! I hope you have a great 2017 exploring our beautiful country.